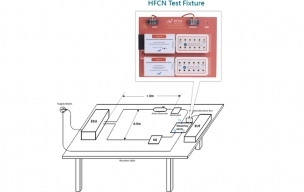 High frequency coupling network test fixture. Compliant with IEC 60601-2-25, IEC 60601-2-27, China YY1079, and ANSI/AAMI EC13. Elaborated design offers convenience and safety. 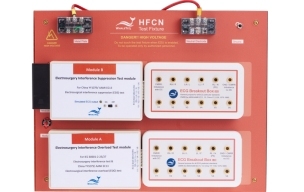 Dual modules to support different standard requirements. Simulate 1mV ECG signal for ESIS. Power rating >300W and resistor inductance <5μH.